﻿﻿﻿As we continue to further our mission we are focused on educating parents, practitioners, and school personnel on the underlying medical issues that affect children diagnosed with ASD. 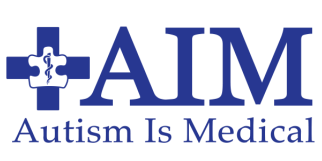 ﻿Autism Is Medical serves the growing medical and educational needs of the Autism Community. The organization's mission is to continue efforts focused on educating parents, practitioners, and school personnel on the underlying medical issues that affect children diagnosed with ASD. "Autistic patients should have the same access to an appropriate diagnostic investigation of their health problems as all other patient populations. Patient centered focused care is the standard of practice in all settings and we will continue to promote the inclusion of this large group of medically complex individuals."